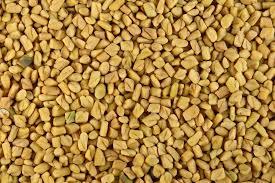 fenugreek seeds are very effective as a natural remedy for your hair. Lecithin: Nourishes and strengthens hair follicles; Treats sensitive scalp conditions. Next morning grind it like a paste. Apply to your hair 2 minutes and wash it.. This is also a very good conditioner . You will get more cool whole day and gets nice sleep as well..